Years ago, nearly all my younger friends under 50 were encouraging me to use online dating. However, like many of my fellow boomers, I hesitated to use it. In my mind, there was an irrational stigma attached to online dating. I filed it in the same class as the late-night 900 numbers of the 80’s. A few other beliefs fueled my reluctance. I thought there would be a high percentage of “losers” online who were incapable of getting a date in the “real” world. I also felt this wild-west world might hold a bigger-than-average share of crazies and scam artists. Also, how would this affect my professional reputation? Would everyone in my industry suddenly know all my personal business? It turns out my reluctance was totally unfounded. Going online was one of the best things I’ve ever done, as this story reveals. I recall signing up for an online dating site to simply amuse myself and see what all the fuss was about. I had zero intention of following through with a date since I wasn’t even sure that I wanted to date. For a few weeks I browsed profiles without any interaction. I didn’t bother to upload a photo or fill in my online dating profile information except for the minimum required. Yet I started to see that there were lots of interesting women involved and active. Their histories, professions, and life experiences made for a colorful social tapestry much richer than I had imagined. It looked promising, so I decided to take the big, scary leap. I uploaded several recent photos and filled out my profile fully. That same day I started to get responses. 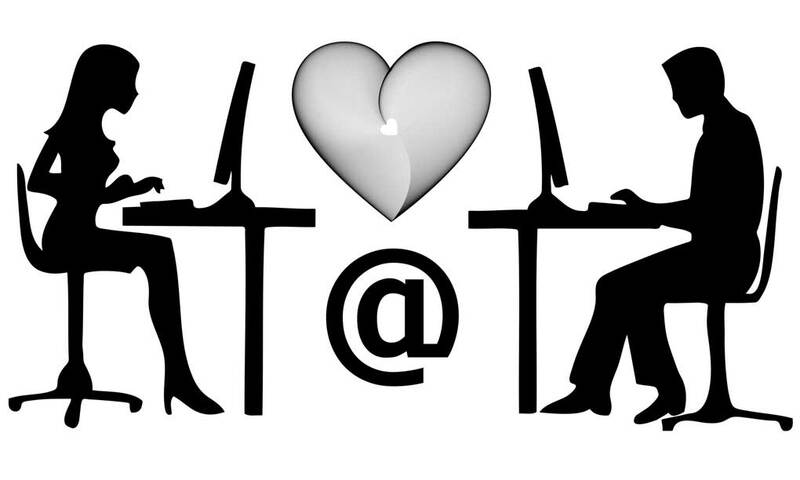 If you’re not familiar with online dating sites, they have features similar to Facebook’s or Twitter’s Like buttons. They also have canned email messages you can send with the click of a button. Nearly everyone uses them. But they don’t stand out. You know they’re canned, and they’re anything but personal. One response stood out. She had taken time to read my profile and sent a personalized message. Our email conversation on the dating site quickly moved to email offline. Soon after, we scheduled a phone call and it was agreed we’d meet for coffee. Early in the conversation I mentioned the area where I lived. I should mention that our dating profiles covered a wide radius. In my case, I was OK with dating women who lived in 30 to 40-mile radius from me. This radius covers millions of people. OK, this was too much, so I revealed my exact address. The final surprise was that she lived directly across the street from me. Her house number was one digit away from mine! I had been in the area about seven years and she had lived there seventeen years. We live in a rural area. Yet we had never laid eyes on one another until we met in the coffee shop. More than four hours later our first date ended, and we agreed to meet again. If you haven’t already guessed, this is how I met Daisy, my ideal partner. We both had wide networks in the local community. We had big networks professionally. We were both active online in social media for our businesses. We lived across the street from each other. But we had never met. Barring some unlikely circumstance, we would never have met if it weren’t for online dating. Now, as you might imagine, I’m a believer in online dating. Anyone who wants to date should include online dating in their tool bag. 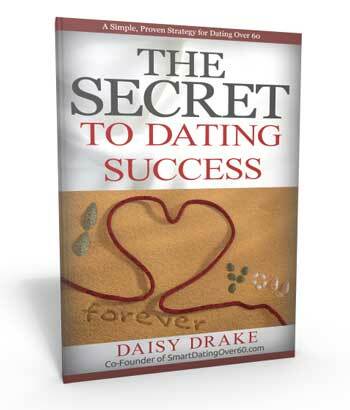 Meeting Daisy online changed my life in ways I had not imagined possible. To think, I had nearly given up the search for my ideal partner! This amazing experience with online dating highlights at least three compelling reasons why you should use online dating. 1) My original idea about avoiding online dating goes against one cardinal rule from my professional business and marketing experience. Good marketers always test ALL media to see what gets the best response. We try them first before ruling them out. In dating, we present ourselves to a defined target market. We can do this through a variety of media which includes: social activities, business networking, social media, community activities, church activities, hobbies, and online dating. When we remove one of these media, we reduce our chances of finding our ideal partner. Just because we favor one or more media doesn’t mean our ideal partner favors the same ones. Unless we try it, we will never know if it works. We’ll never know if that’s where our ideal partner will be found. 2) According to a study about online dating sites by Pew Research, quoted in Forbes, singles over 50 are the fastest growing segment of the dating community. This age group grew at 300% during a recent two-year period in which online dating grew at an overall rate (all age groups) of only 36%. The online dating community is fairly representative of the general population. So yes, you’ll get the same tiny percentage of loonies and undesirables online that you will offline. But we’re old enough to have the common sense to quickly filter them out. 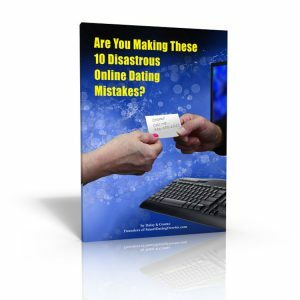 Plus, you’ll find tips in these pages to help you do that without wasting your time on bad dates. 3) A Tinder survey says that people who date online are more likely to have a committed relationship than those who don’t. Dating online requires some preparation before you start your search. eHarmony is notorious for the number of questions and analysis required. One estimate says there are nearly 400 questions involved as you move through the process. I believe this process of self-examination and introspection is precisely what leads to better, committed relationships. Sure, you can find true love accidentally at a local party or picnic. Yet if you’re not fully prepared for a relationship and haven’t given thought to who your ideal partner is, you might simply fall for someone who’s exciting at the moment. In my case, (and for so many others) that’s the worst way to pick a potential partner. And that’s a story for another day. Even if you eventually find your partner offline, the online dating preparation puts you head and shoulders above your “competitors” who have not done the work. And yes, you are indeed competing to stand out with a great, authentic first impression. It’s not hard to do, but it IS critical. Don’t rule out online dating sites. Your “Daisy” could be in the apartment or house right next door to you. Seriously. Tell us where to send it in the form on the right hand side of this page.